Last night I had the honor of speaking at the annual Manual Military Appreciation Day celebration. This great annual event was started by the Army JROTC program when I was principal of Emmerich Manual High School. 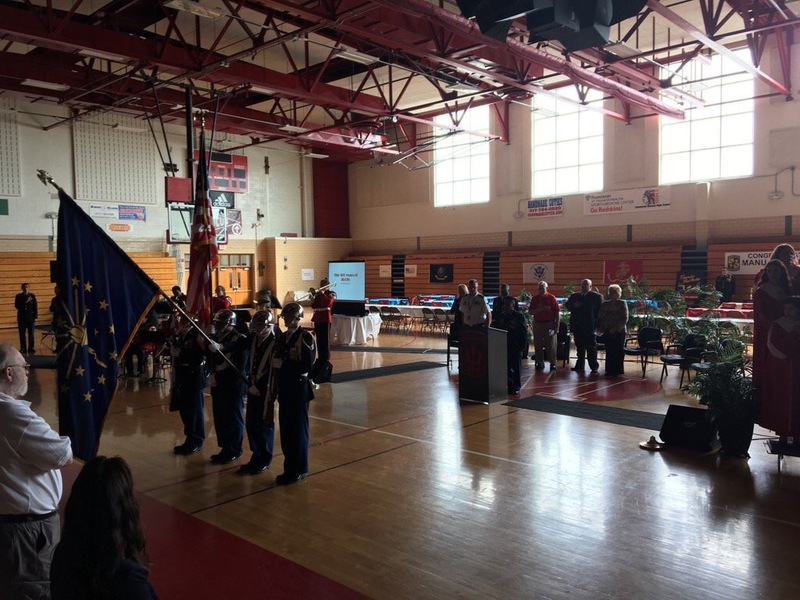 This event also served as the 💯Year Anniversary Celebration of the Army JROTC program at Manual. It was incredible to be invited to this event and reconnect with alumni, teachers, staff, and former students. I was reminded just how much I love this school. It was also a reminder of what can be accomplished when a team comes together, truly puts students first, and works hard while having fun toward a common vision. This school had been rated one of the worst, had been an “F” school, as rated by the state for seven years. We were able to turn the school around and take it off the “F” list. Make no mistake, the Army JROTC program was crucial to the success of this school. The JROTC instructors Colonel Duxbury and Sargent Carter are highly effective teachers and are responsible for making sure the program has continued to thrive, improve, and grow. Emmerich Manual High School is an awesome school with great teachers and incredible students. This school is an important part of Indianapolis’ south side community. In my speech, I discussed why the 💯Year Anniversary of JROTC was such a big deal. I also told the story of my friend David Marquet, author of the book, Turn the Ship Around! I believe JROTC is a program where students learn and practice character, citizenship, and leadership at the highest level. Please click here to watch the video of my comments.